hey @legomaster1378 have you seen this book? if you have it, what do you think of it? is it worth buying? hey legomaster1378 have you seen this book? 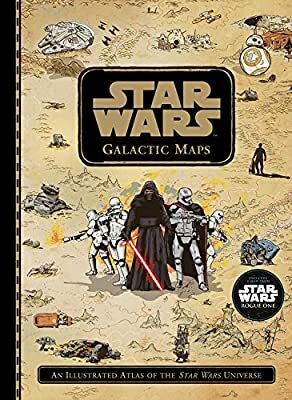 It looks to be a nice look at the overall Star Wars universe, featuring a lot of material from the movies, shows, books and comics. Plus, it has a nice consistent art style. I wonder if Jedi in this context will be referring to the plural or singular. Anyways, it's certainly better than forces of destiny. The name has been used before in SW media, so it doesn't excite me too much. However, what I am excited for his Episode 8! I like it. It's most likely referring to Luke in the singular sense, as he is the last Jedi, and that won't change until Rey is trained. If Luke doesn't die, then the title is plural and refers to them both, but if Luke does die, then the title is referring to Rey as the new hope for the galaxy after Luke passes. 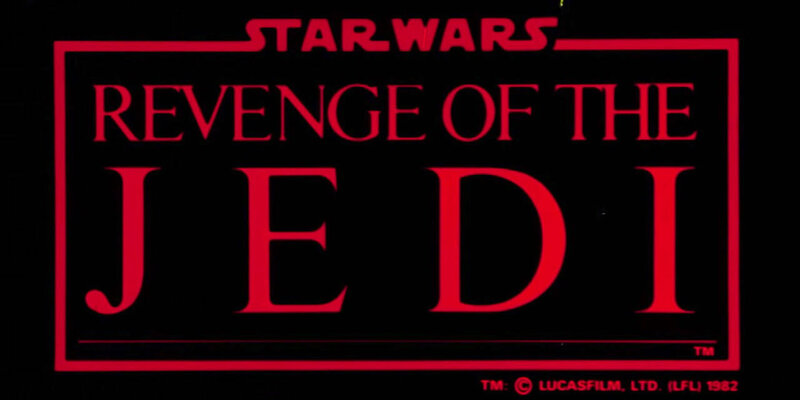 I'd like to point out that the red logo has been used before, in the REVENGE OF THE JEDI and REVENGE OF THE SITH logos. Only the Sith logo was used in the final design. I feel like it might be plural, since at the moment we have more than one Jedi. As for the Forces of Destiny, I agree that title sounds really cheesy, and that this one sounds way better. I think the last Jedi is Luke, and Rey will be something new in the same way Kylo Ren and Snoke use the dark side but aren't sith. Alright I just noticed this theory that has come out that has been gaining traction and is driving me insane. People have been saying that because on the graphic the two major colors are red and black that it represents darth maul and he will be supreme leader snoke. People have been saying that because on the graphic the two major colors are red and black that it represents darth maul and he will be supreme leader snoke. Gosh I'm tired of Darth Maul. I really, REALLY hope that's not the case. Tune into rebels because I'm pretty sure he's meeting his final end. Even though his episodes in clone wars are some of my favorites (the shadow collective is easily in my top three.) I don't want to have be this immortal guy that can survive anything. Oh I will. I want to see Ben Kenobi finally kill him once and for all. here is what i think may happend in "The Last Jedi"
Luke is killed and Snoke takes Rey as his new dark side apprentice (possibly by tempting her with something like info about her family or something) and leaves Kylo Ren behind because Rey is stronger than him. Kylo Ren then joins the Resistanse when he learns that he was replaced, and thus, because he was originaly one of the Padawans who trained under Luke, he is the Last Jedi. That would be really disappointing in regards to Kylo as a villain. Yes. I feel like they're going to go as far as they can to make Kylo irredeemable. The reason Vader fell to the dark side is that he loved too much, and that's what also brought him back to the light, the love for his son. Kylo murdered his own father. He'll probably want to murder his uncle and mother if he get's the chance, and that's going way farther than his grandfather ever did. Plus, if they do end up redeeming Kylo, it's just be Vader all over again, and they've already gotten enough flak for VII being too much like IV as it is. Kylo is just going to be a bad, bad person that when he dies, the characters and audience will say "good riddance, you space Hitler!". At least that's how I feel the franchise is moving forward. not me. To me, Kylo is a victim like so many others are when it comes to Snoke's plans. he seems to be emotionaly unstable and confused, and its rather clear that he is not the true villain of the new star wars movies, but Snoke is. Making Kylo Ren into such a despicable and hated villain, would just be wrong when he clearly is not 100% true evil. Just like with the brainwashed First Order Stormtroopers, he is just another pawn in Snoke's goal. Let's say you're right and that's the direction future SW movies will go, I still think that your hypothetical scenario would be extremely underwhelming. All the effort to portray Kylo as a conflicted character and he switches sides because Snoke passed him up for a promotion (Doesn't that sound familiar)? Even if he was abandoned by Snoke, wouldn't it make sense that he'd still follow in Vader's footsteps?